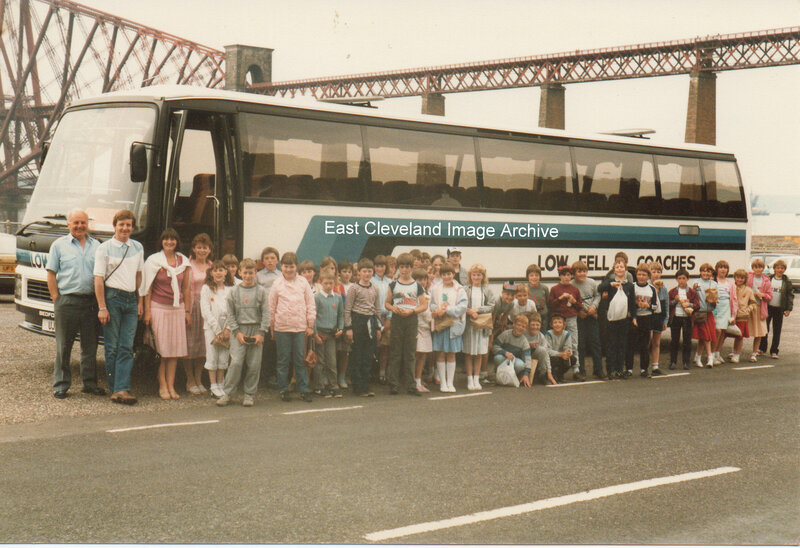 Here are the pupils on the way to Scotland or more accurately they are already there; with the Forth Bridge behind them. If you were one of these pupils or can name any of them then please do so, thank you. Image courtesy of Marian Toulson. A few from L-R is Gary Smithies, Alan Midgley, Martin Lonsdale, Leigh Winspear, Simon Best, Steven Caley, Stephen Janakie ? John Hawkins, Brownie, Nic Andre, Steve Marsey, Recognise loads more but cant put names to them atm.